Thoughtshower: CSR Experts: Should We Get Rid of CSR? 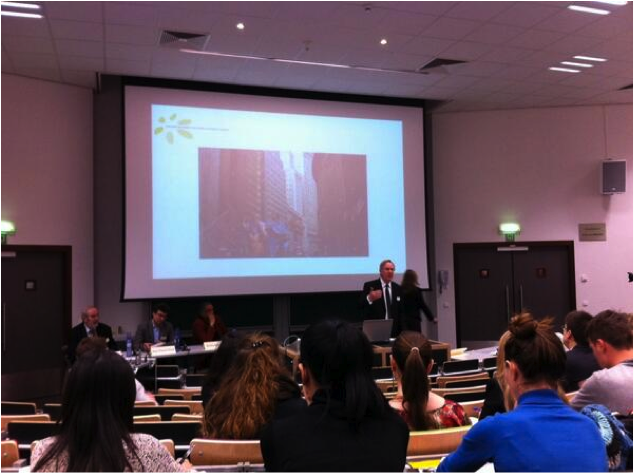 With some trepidation, last week I went to Solvay Brussels School of Economics & Management to attend the provocatively-titled ‘Should We Get Rid of CSR?’ event, wondering whether it would make me reassess my entire career. Part of the Phillippe de Woot award which is given to outstanding Corporate Social Responsibility (CSR) Master’s theses, the event saw academia and business come together to passionately debate what CSR is – and whether it actually does more harm than good to businesses and society at large. Two professors from Cass Business School spoke about the perils of seeing CSR as a panacea which will fix political problems and advance the business agenda whilst simultaneously “saving the planet”. Jean-Pascal Gond, Professor of Corporate Social Responsibility at Cass, warned that these unreasonable expectations will be betrayed in practice as they ignore the wider societal context outside of organisations – as well as the underlying rules of a capitalist society. A more realistic way of seeing CSR is as an “essentially contested concept” with contradictions which must be embraced for it to be a transformative force, he said. Outspoken Bobby Banerjee, Professor of Management at Cass, argued that the organisation in its current form is an inappropriate agent for social change and CSR has become an ideological tool used to legitimise bad business behaviour. “Greenwashing” is not the issue, he argued, as consumers can see straight through it. The problem is when CSR is used with the complicity of the state as a weapon, to extract, exclude and expulse the most vulnerable communities and resources, he said. A more optimistic presentation followed, with Laszlo Zsolnai of Corvinus University speaking on how an opportunistic use of ethics is counterproductive – but when businesses collaborate to create mutually-beneficial “virtuous circles”, everyone wins. The afternoon session saw Bruno Roche from Mars, Incorporated talk about the interesting link between spirituality and economics – as well as Mars’ convincing CSR progress. Executive Director of CSR Europe Stefan Crets presented on the importance of integrating CSR into the core business strategy, a trend which is thankfully on the rise. Marie d’Huart from Belgian CSR consultancy Cap Conseil talked about her much-discussed article ‘The Loneliness of the CSR Manager’. Often, she argued, CSR experts are blocked by the same people that hired them. It is key to “endorse your social responsibility” and business schools must take responsibility for downplaying this problem in their courses, she said. The day finished with some inspiring words from President of the Executive committee, Federal Ministry for Mobility & Transports and Solvay at ULB, Laurent Ledoux. His principles for an ideal CSR strategy also extend into his own team management principles. Intrinsic equality, personal growth and a capacity to self-direct should be part of a new way of governing. It was one of the liveliest debates I have been to and certainly provided food for thought. It was good to be reminded of what CSR can achieve – but also that it is healthy to remain sceptical at all times when it comes to sustainability claims and unsustainable business practices. All material relating to the event is available on the Louvain School of Management website.